Thanksgiving for me is about family and food- and of course giving thanks to God for life. I was fortunate to be raised by a mother who could cook. Thanksgivings were known for some food traditions. For me, two things stood out. First was my mother’s dressing. For the last three years I’ve been making my mother’s homemade dressing. It is a bread – cornbread mix with celery, onion and sage. Another food was party mix. 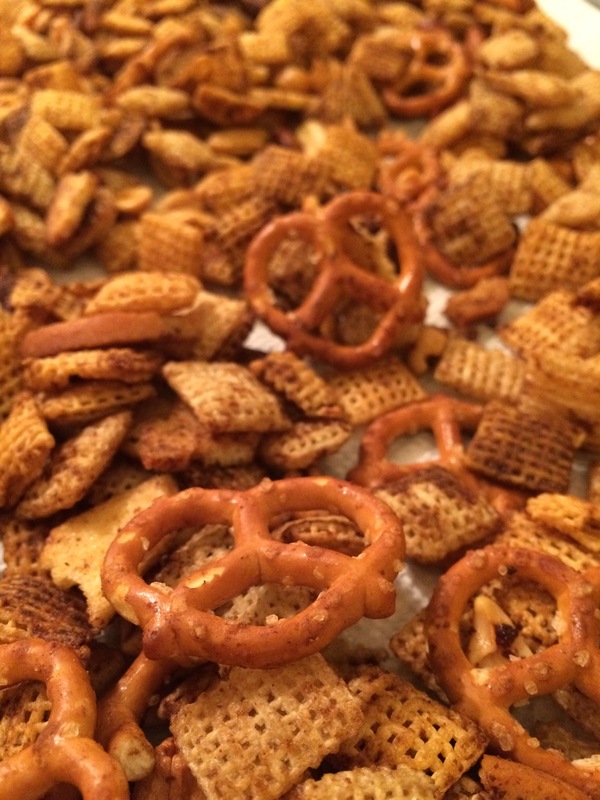 I remember the first day mom introduced party mix to us. From that day on, breakfast on Thanksgiving mornings was party mix. It was far better than just eating plain cereal. Now, though, my wife has added two new traditions. First is the cheese ring. This is to die for. 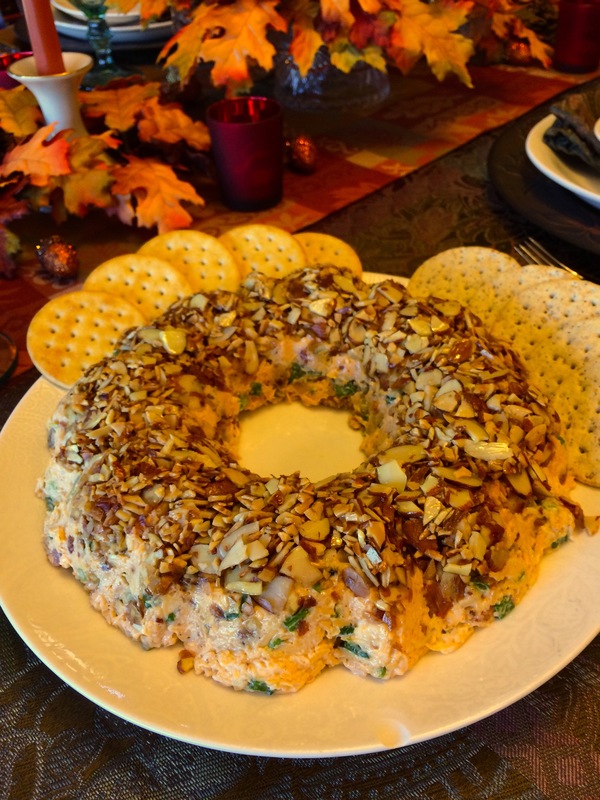 It’s a cheddar cheese ring with bacon and green onions in a mayo base, topped with a spicy almond crust. 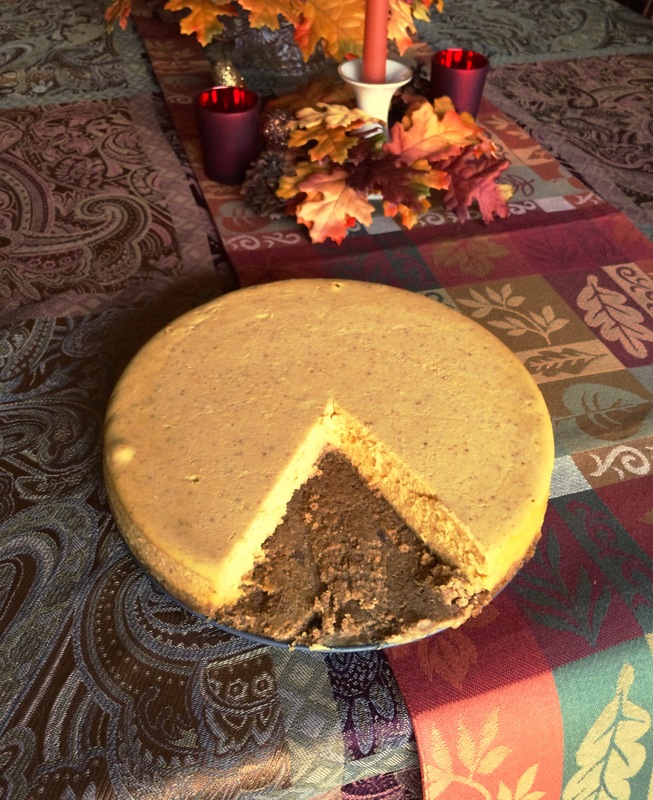 Another addition has been pumpkin cheesecake. What can I say. It’s cheesecake and I love it. So, here are some of my favorite food traditions for Thanksgiving. What about you?